Stevenson called for an end to the peacetime draft and a ban on nuclear testing, but many deferred to Eisenhower as the better judge of America's position in global affairs. This election showed a desire for the status quo. The economy was booming and many voters seemed content and complacent. Divisive issues were downplayed and little conflict emerged. 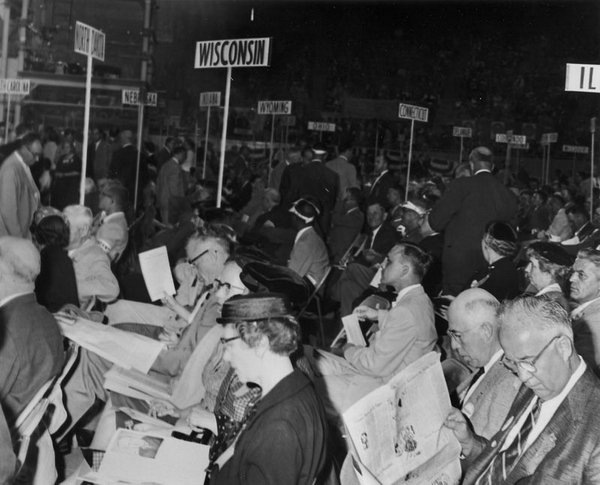 Wisconsin delegation to the Republican National Convention, San Francisco, August 1956. 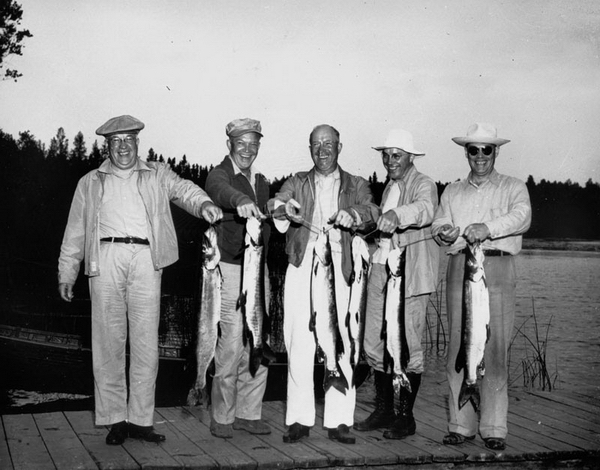 Dwight Eisenhower on a fishing trip in northern Wisconsin, 1956. 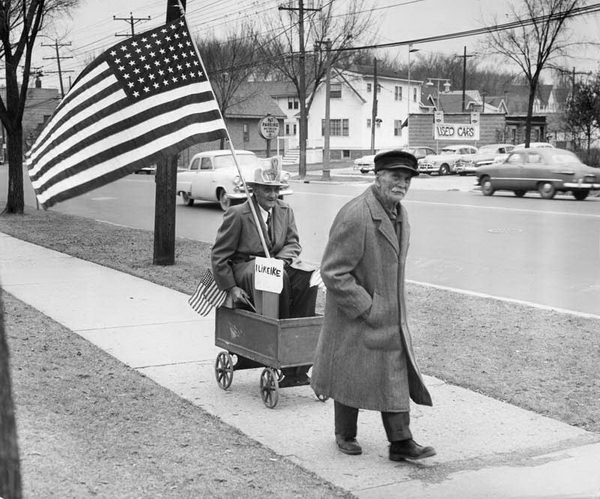 Stevenson backer John Shaat pays off a bet by towing Eisenhower supporter Edwin Warner, Milwaukee, November 10, 1956. Photo by Foster C. Stanfield.